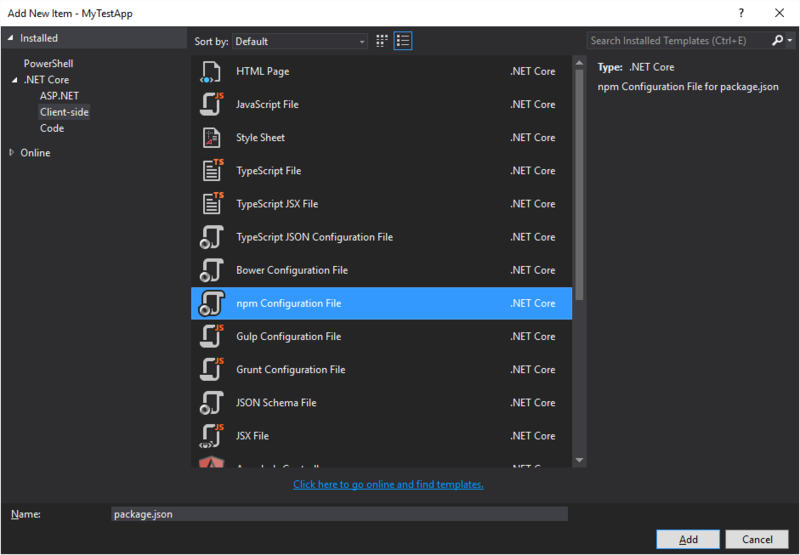 One of the reasons I started with .NET Core is because the templates provided already have the Bower and Node hooks. You only have to provide the configuration. 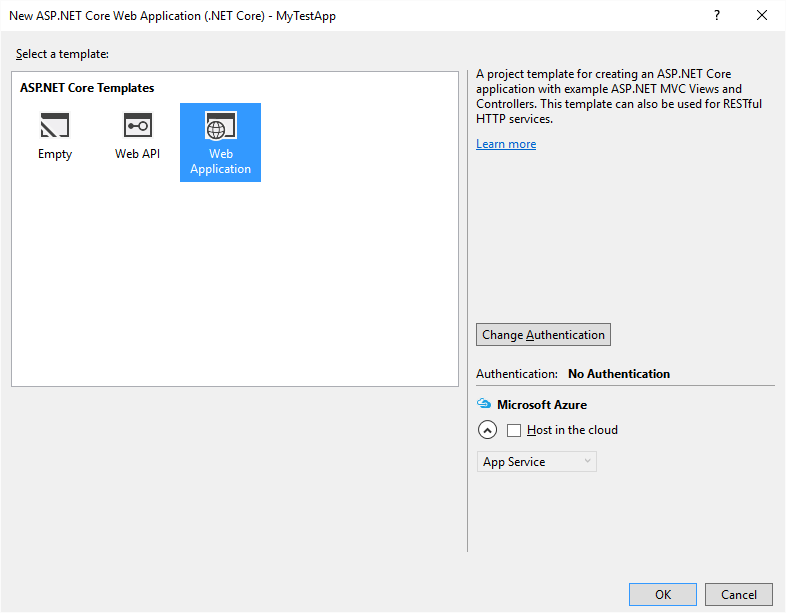 Diving right in, let’s create an ASP.NET Core Web Application. I use the Web Applicaiton template rather than the Empty template because I want all of the built-in styles. I find this more illustrative of a real project. Here’s our shiny new project. My gulp file adds some appropriate tasks. 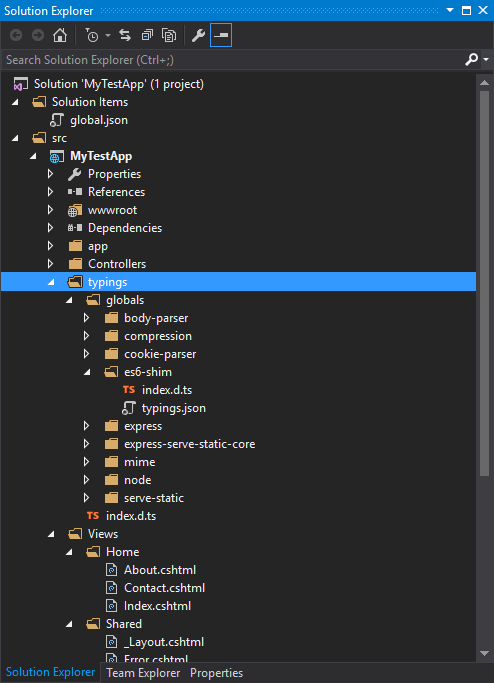 Note that I’m eventually going to use Typescript and plan to put my files inside of an “app” folder. This coincides with the “copy” task referenced. 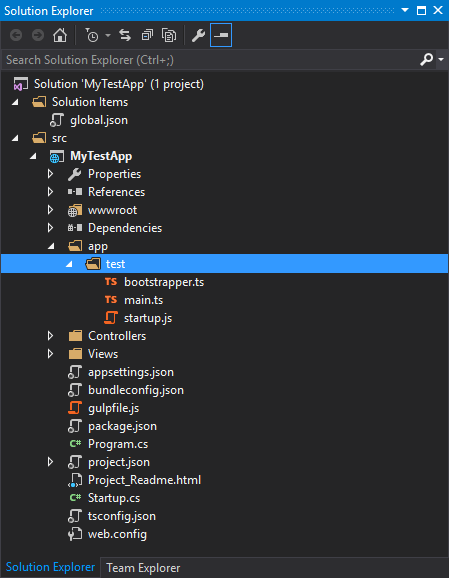 Next, we need a bootstrapper.ts that actually bootstraps our application main. The startup.js defines a function that brings together everything to work and startup. Finally, Index.cshtml is modified to serve up our application with appropriate script references and such. 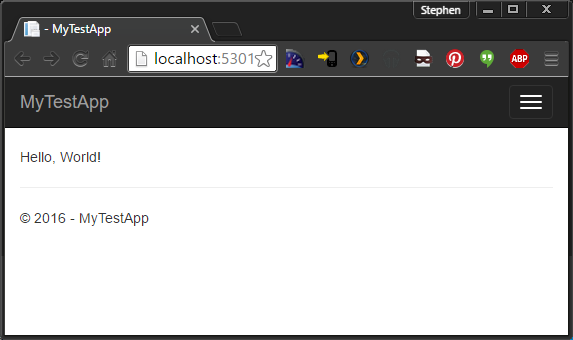 You’ll note the reference to our single app-shell element to which our Angular2 application will be bootstrapped. If you hit F5 at this point, you’ll get build errors. This is the problem I ran into immediately when following various guides. The problem with older guides is that the type definitions that are required by TypeScript were removed from Anuglar2 RC4. You have to import typings from npm that include an es6-shim. 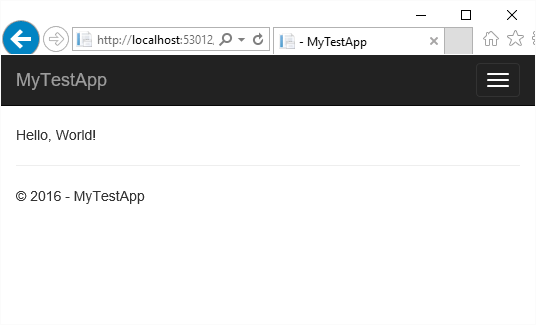 This was not really straight-forward to figure out in VS2015. We need a few things. We need a typings.json configuration file. It should look similar to this and be placed in the root project folder. What didn’t work? I cloned the git project from scratch, rebuilt the solution, then hit F5 to debug and it worked without a hitch. I also cleared my browser cache to ensure there were no artifacts giving me a false positive. For me, this worked just fine, the project compiles and runs. I did have to run npm install from the command line. 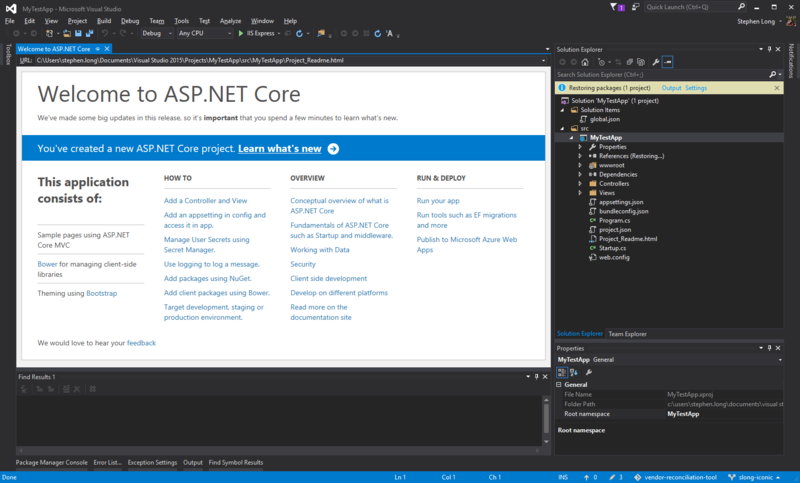 It did not run well from inside Visual Studio. Good deal! I did find that performance was pretty bad also during the general build process. I’ll have to locate whatever is causing the performance hit. Followed your instructions but ran into a problem: when the “typings” directory was created, it had just 1 member in it…doesn’t look like yours at all. 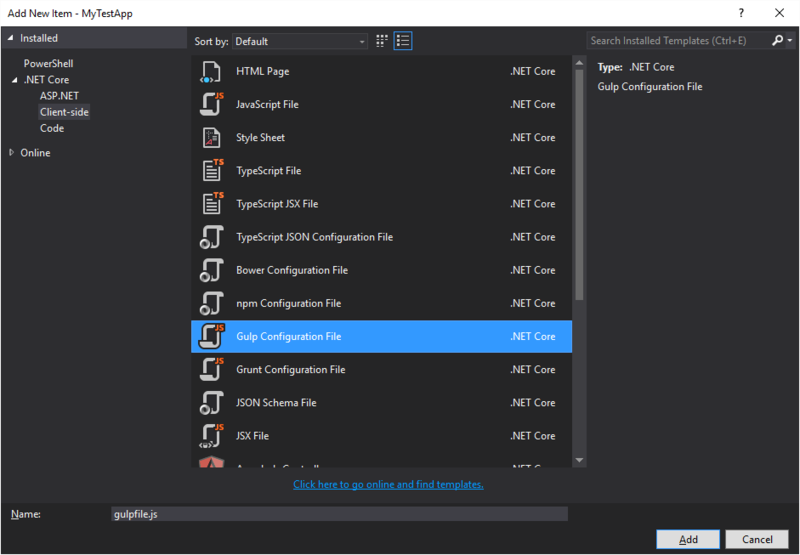 I was able to download your solution, unzip it and run in VS2015…but I had to change the version of .net core to a more recent one I had installed. Would like to know why it didn’t work following your instructions though…any ideas? There’s nothing that comes to mind. If you have a “typings.json” with the references I listed and the modification to the package.json file with the typings postinstall, the typings folder should get populated as the screen shot depicts. I don’t recall doing anything beyond what I documented. 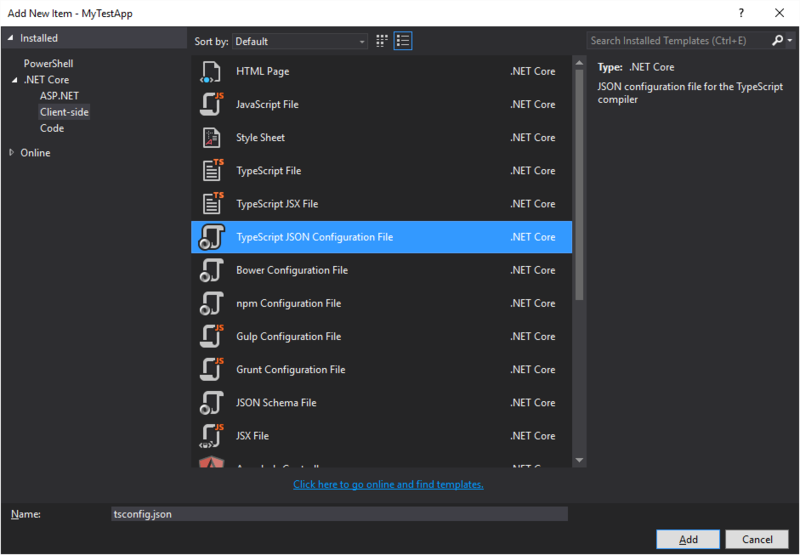 However, this post is pretty old (Angular2 RC4 especially) and VS2015 and the current ASP.NET Core templates could be substantially different. 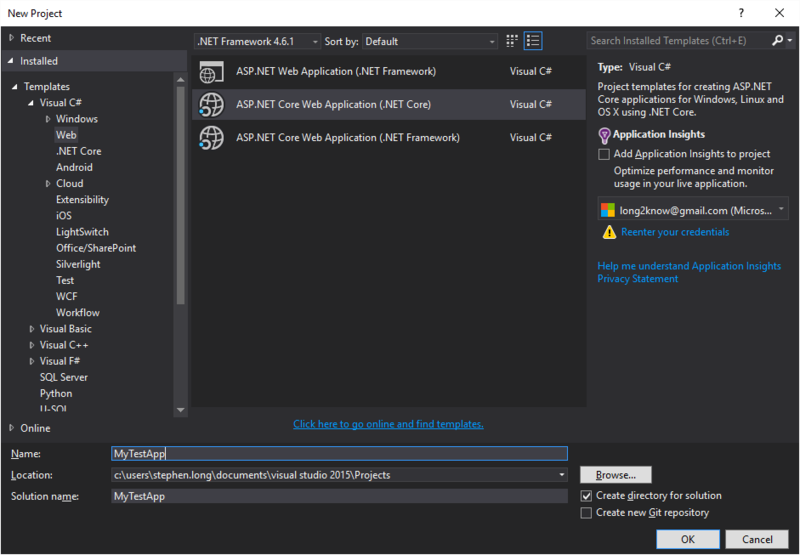 If it’s possible to upgrade to VS2017, I would recommend looking at some of the templates I have posted about for it using Angular4, .NET Core, and VS2017. Otherwise, you could also use a compare tool like kdiff3 to see what differs between the github repo and the project you’ve created.